Bake Like You Mean it! 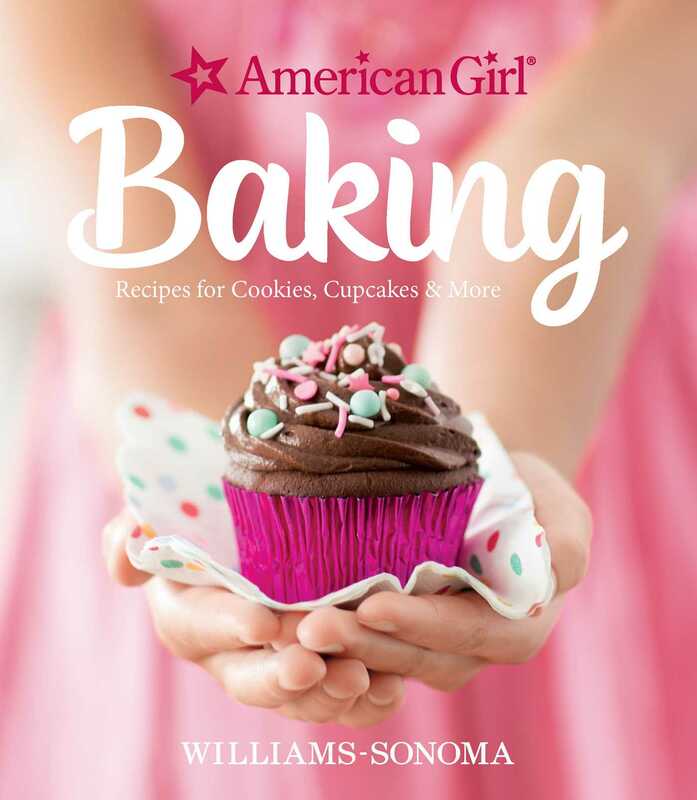 Williams-Sonoma and American Girl have partnered to bring you American Girl Baking - the perfect book for the girl in your family. It's packed with 40+ delicious, easy-to-follow recipes fit for any occasion, or just because you wanted to bake something! It’s easy to understand why baking is so much fun. There’s nothing quite as satisfying as measuring and mixing ingredients, putting dough or batter into a hot oven, watching - and smelling!- the transformation during baking, and finally removing delicious sweets from the oven. But the best part is sharing the treats you made with love with your friends and family. American Girl Baking provides delicious, easy to follow recipes that everyone will love. Cookies: From cookie flower pops and cinnamon-sugar snickerdoodles to pinwheel icebox cookies to ice cream sandwiches - find something for every craving. Preheat the oven to 350°F. Line a 9-inch square baking pan with parchment paper, extending it up and over the sides on 2 sides. Select a saucepan and a heatproof bowl that fits snugly on top of the pan. Fill the pan one-third full of water, making sure the water doesn’t touch the bottom of the bowl. Ask an adult to help you place the saucepan over medium heat. When the water is steaming, place the bowl on top of the saucepan and add the butter and chocolate to the bowl. Heat, stirring with a rubber spatula, until the mixture is melted and smooth, about 5 minutes. Don’t let the chocolate get too hot! Ask an adult to help you remove the bowl from the saucepan (the bowl will be hot!) and set aside to cool slightly. In a bowl, using an electric mixer, beat the eggs on medium speed until pale, about 4 minutes. Add the sugar and vanilla and beat until well combined. Turn off the mixer. Add the chocolate and beat until blended. Turn off the mixer and scrape down the bowl with a rubber spatula. Stir in the flour and salt with the rubber spatula just until blended. Scrape the batter into the pan and smooth the top. Using a tablespoon measure, drop 6 dollops of peanut butter over the top, spacing them evenly. Sprinkle with the chocolate chips. Bake until a toothpick inserted into the center comes out clean (ask an adult for help! ), 25 to 30 minutes. Ask an adult to help you remove the pan from the oven and put it on a wire rack. Let cool completely, then cut into 16 squares and serve.